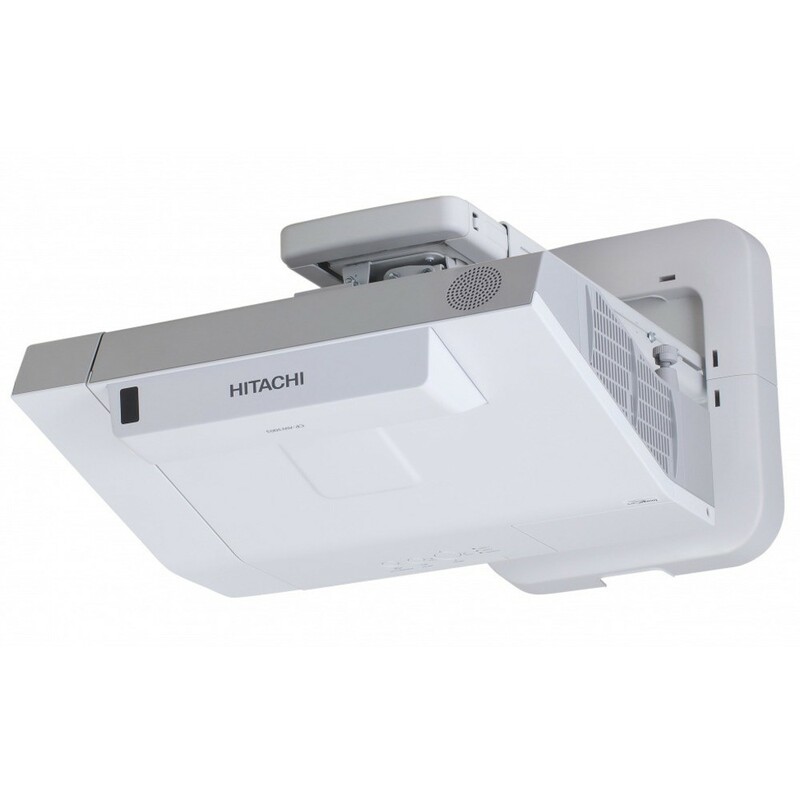 The Hitachi CP-AW3005 3300-Lumen WXGA Ultra-Short Throw 3LCD Projector has the ability to project large images in tight spaces. It produces a notable 3300-lumen color and white output, along with a 10,000:1 contrast ratio. This model also has a WXGA 1280 x 800 native resolution and supports video signals up to UXGA 1600 x 1200. The Hitachi CP-AW3005 3300-Lumen WXGA Ultra-Short Throw 3LCD Projector has the ability to project large images in tight spaces. It produces a notable 3300-lumen color and white output, along with a 10,000:1 contrast ratio. This model also has a WXGA 1280 x 800 native resolution and supports video signals up to UXGA 1600 x 1200. This projector is powered by a 3-chip 3LCD system, and the lamp features a long life of up to 6,000 hours in Eco mode and 4,000 hours in standard mode. 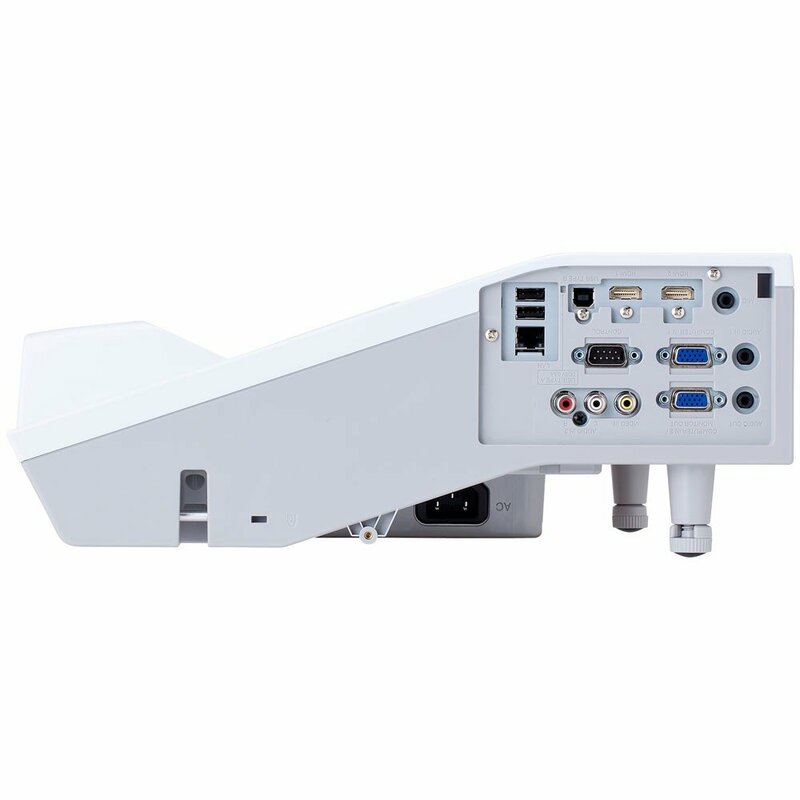 Additionally, you can use this projector to project up to a 100″ image, and it features a 0.2:1 ultra-short throw ratio from the edge of the projector to the screen, with a 0.3:1 ultra-short throw ratio from the mirror cover to the screen. The Hitachi CP-AW3005 offers a variety of connectivity options including composite video, two VGA, two USB, and two HDMI inputs. This allows you to connect sources such as PCs, Blu-ray players, and streaming devices. One of the VGA inputs conveniently doubles as a VGA output. Its USB interface supports PC-less multimedia connections and slideshow support. RS-232C and Ethernet control interfaces are also on-board. Other features include a built-in 16W speaker for audio playback and a microphone input jack.